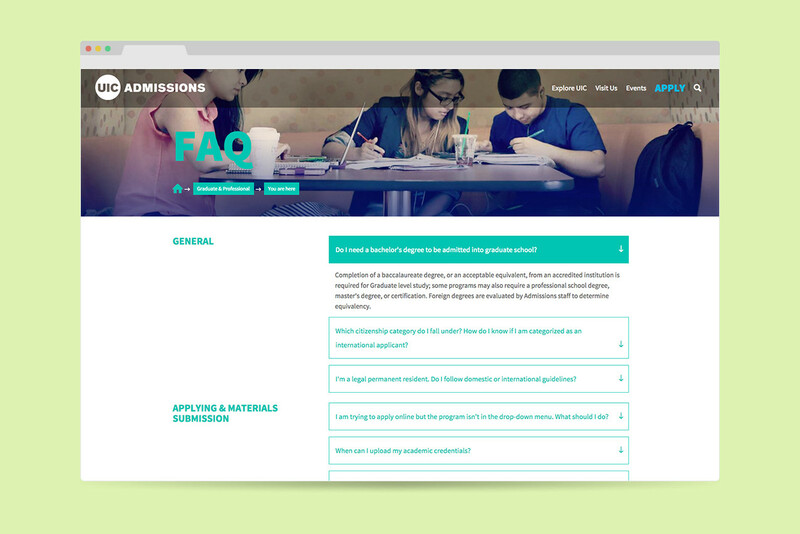 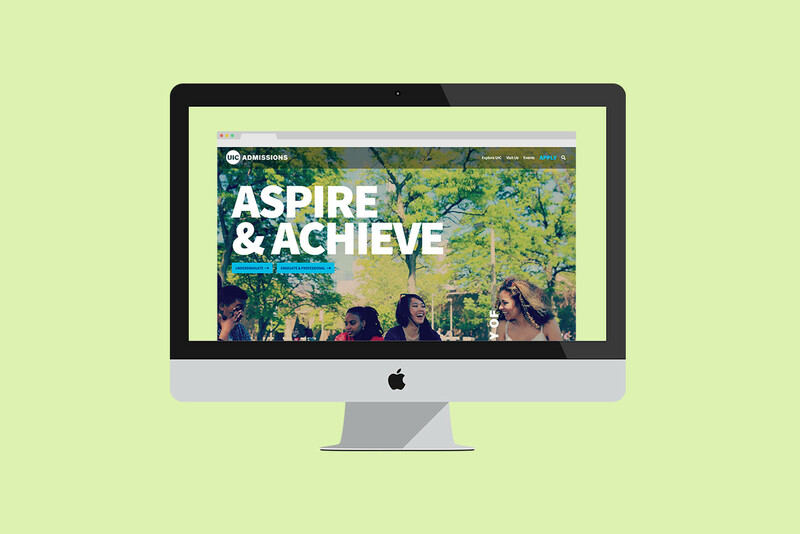 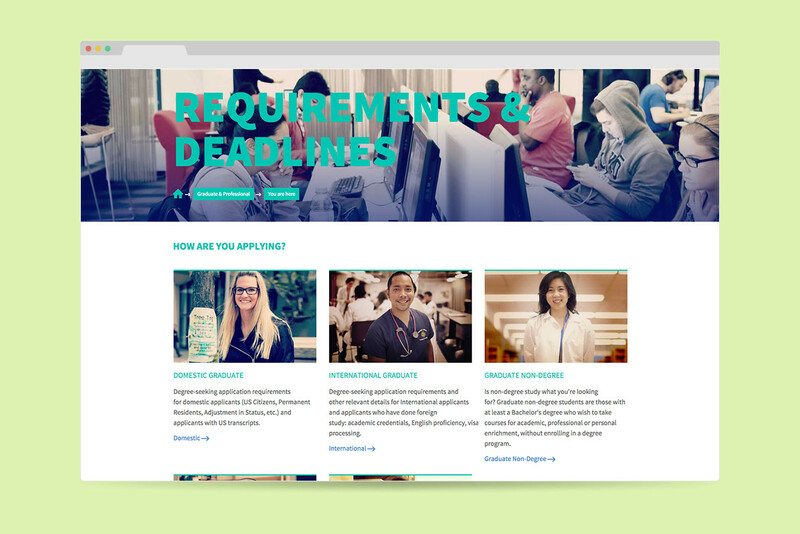 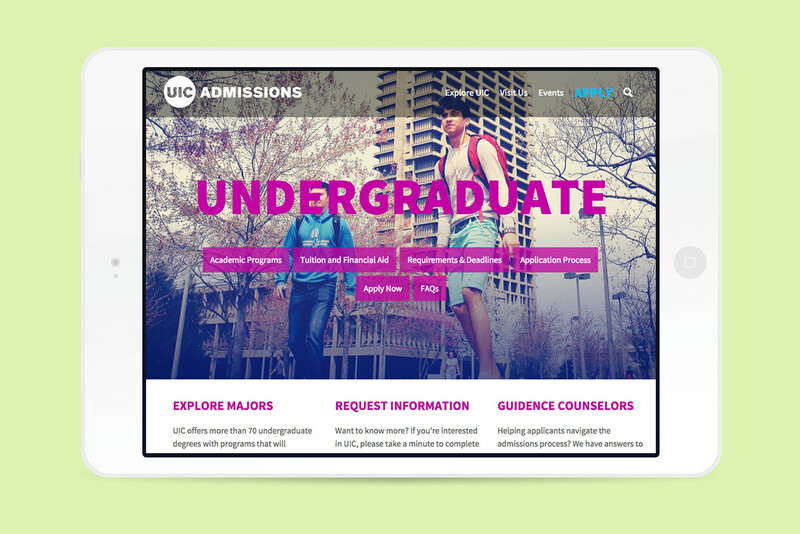 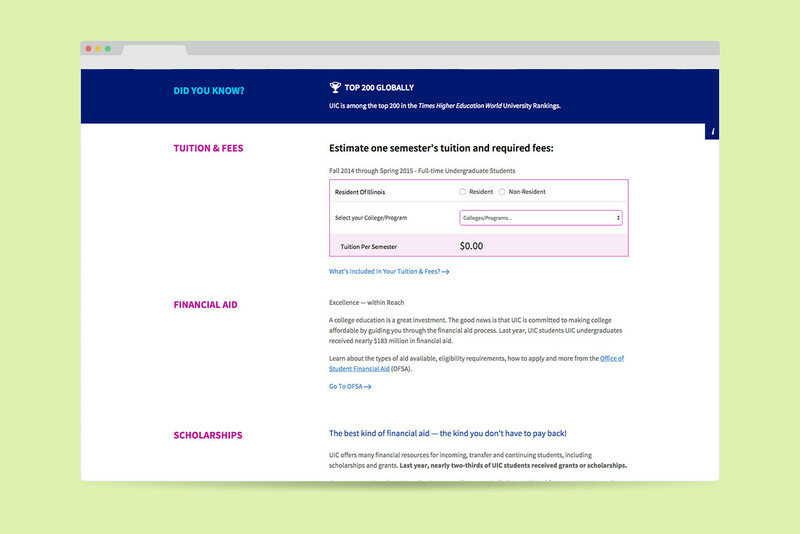 After re-designing the Admissions brochure for UIC, our next task was to create the corresponding website. 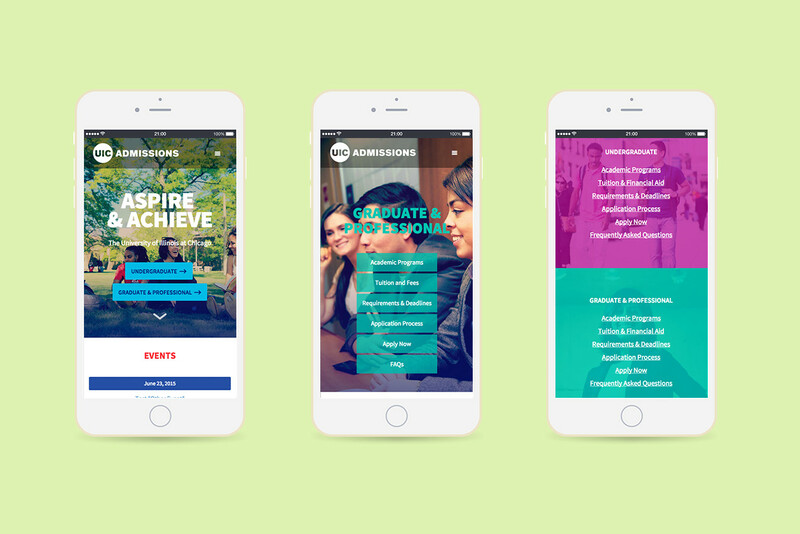 However—one hiccup—the UIC rebrand was completed right as the brochure went to press meaning that the old look, and with it all of the planned relationships we'd carefully crafted. 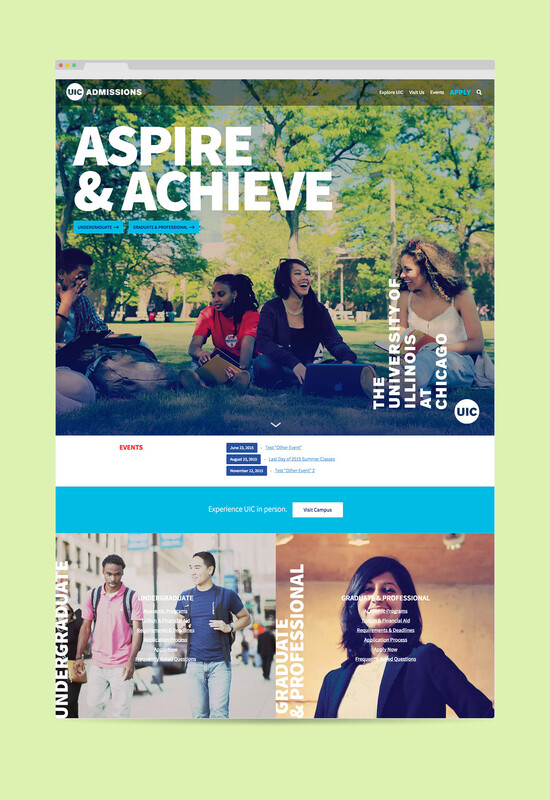 With this new challenge, updated typography, and a much fresher color palette to work with, we took the challenge and created the very first online representation of UIC's new brand. 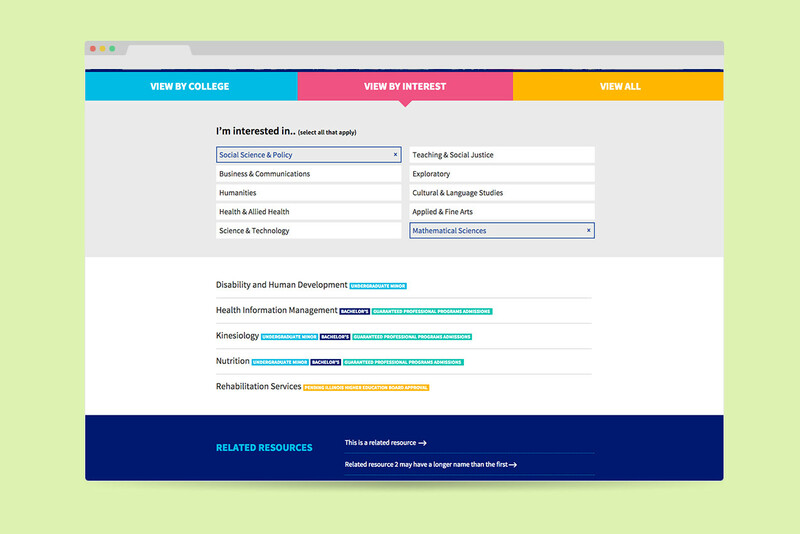 U/X lead: Sarah Kowalis.